If you'd like to be notified when more become available enter your email address below. 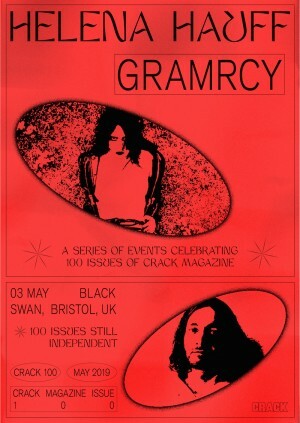 This May, Crack Magazine prints its 100th issue. We don’t usually need a reason to party, but we took this occasion to pull out all the stops, and it’s only right we bring the celebration back to our hometown with the help of zeitgeist-defining DJ and producer Helena Hauff. Indisputably one of the leading figures in electronic music, she’s heading to The Black Swan for a night of her head-spinning techno and electro. 10 years. 100 issues. Still independent.